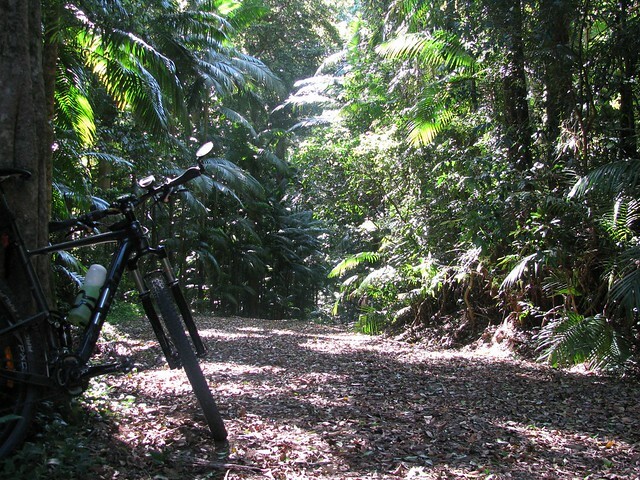 A few months ago I rode a loop down Joyners Ridge Road at Mt Glorious which included a tough climb up Goodes Road. Last time I had to walk up some of the steep bits, but this time I gave it all my effort, and conquered the hill 🙂 I think the weekly sessions smashing hills at Clear Mountain must be paying off! 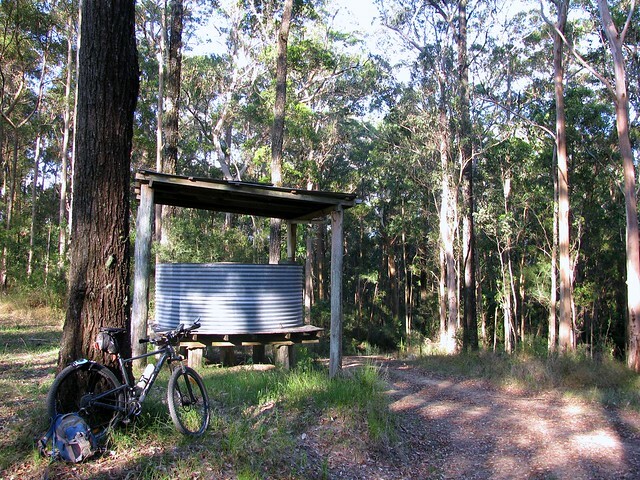 I started at the bottom of “The Goat Track” and slowly climbed up to Westridge Outlook for a quick rest and some great views westward to Wivenhoe Dam and the Great Dividing Range. The road then went higher up to Mount Glorious before the long descent down Joyners Ridge Road, through the rainforest, all the way down to England Creek at the bottom. Joyners Ridge Road is wonderful to ride down. The rainforest at the top gives way to open forest with great views over the mountains. 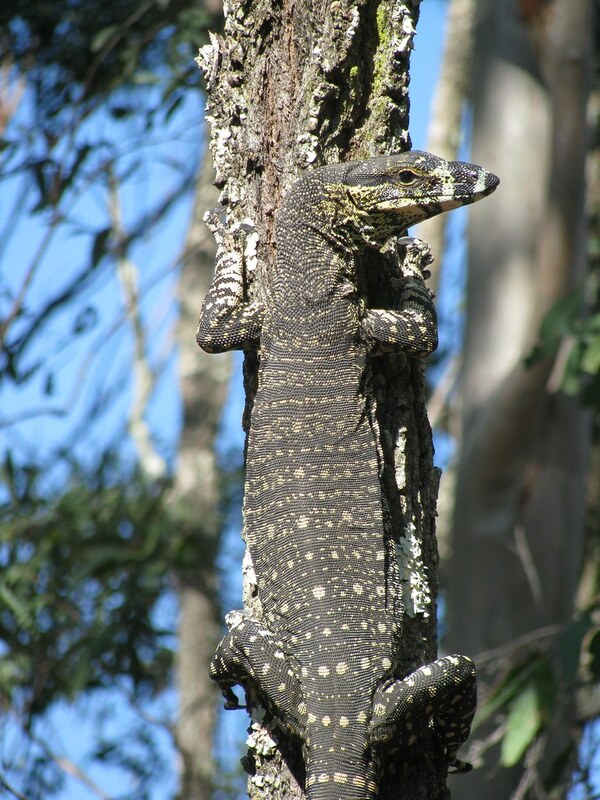 You see quite a few of these fat goannas in D’Aguilar National Park. England Creek marks the bottom of the 9km descent. It’s a good place to have a break because from this point, it’s a 4.5km, steep, slow climb up to Dundas Road, gaining 450m. All up, about 35km with about 1,250m of vertical ascent and 3,300kcal burned. I’m giving it 8 out of 10 on the tough-o-meter. Wow, that’s beautiful scenery, and nice photos Neil. We’re lucky to have such a variety of wild places so close to home. And very well done for nailing all those steep fire-road ascents too. Thanks Andrew. Perhaps we should organize a social ride up there sometime?